We are pleased to announce the second annual Book to Build campaign, a charitable program in partnership with Choice Hotels Canada. From May 11 to May 17, 2018, guests staying at participating Choice Hotels locations will have a portion of their stay donated to Habitat for Humanity Canada. One hundred percent of the funds raised will be directed to local Habitats across the country to provide more families in Canada with a safe, decent and affordable place to live. The 2018 Book to Build campaign is expected to raise an estimated $100,000 for Habitat for Humanity in Canada, in addition to the more than $100,000 the campaign raised in 2017. 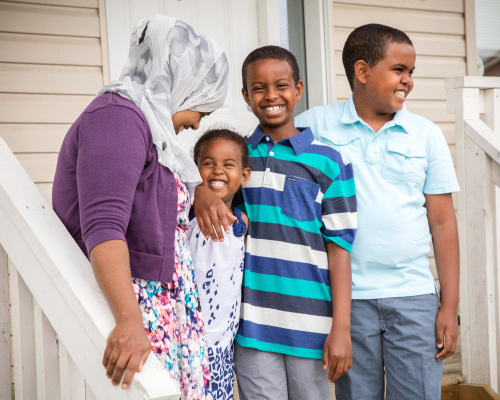 "We're not just building houses – we're building homes, we're building stronger families, and we're building stronger communities," says Mark Rodgers, President and CEO of Habitat for Humanity Canada. “I'm thrilled that Choice Hotels is continuing their partnership with us, which will allow us to partner with even more families." Choice Hotels Canada is one of the country’s largest hotel franchisors with more than 300 hotels from coast to coast under brands like Comfort, Comfort Suites, Quality, Sleep Inn, Clarion, Econo Lodge and more. Through its social responsibility, Choice Hotels Canada supports reputable charitable organizations that focus on shelter, education and community development as it relates to children. Through Book to Build, Choice hopes to raise $500,000 over five years for Habitat for Humanity Canada.